February 4th is World Cancer Day, a UICC-led initiative promoting awareness about how everyone and anyone can do their part to reduce the global burden of cancer. 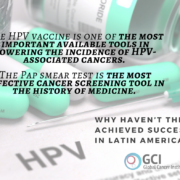 I want to emphasize the word “global” in that sentence, because in my experience, nearly everyone in the U.S. – including many of my colleagues in the medical profession – is focused primarily on cancer-related challenges that directly affect patients here. Even the Cancer Moonshot initiative, a worthy endeavor that is technically global in scope, will truly only impact the U.S. That’s because there is an enormous gap between U.S. patients and those in the rest of the world, another gap between developed and developing countries, and then a third gap between rich and poor inside developing countries. Even if a cure for cancer were found tomorrow as a result of this Moonshot, it wouldn’t affect the vast majority of the world’s cancer patients. The burden of cancer is greatest in low- and middle-income countries (LMICs). 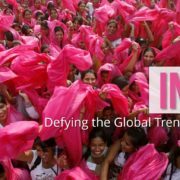 In 2012, 57% of new cancer cases and 65% of cancer deaths occurred there, and the average patient in a developing country is roughly twice as likely to die from their cancer than a patient in the U.S. That increased risk is primarily from lack of screening, lack of access to treatment, and treatment methods that are decades behind those used in the U.S. One jarring statistic to illustrate the delta: 58% of breast cancer patients in Mexico present with advanced-stage cancer, versus just 12% of breast cancer patients in the U.S. The U.S. already provides the most advanced cancer care in the world. We have a responsibility to now help the rest of the world catch up. 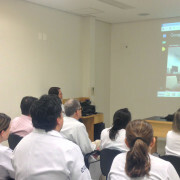 Global Tumor Boards, which help physicians and oncologists in developing countries connect directly to U.S. physicians by videoconference to discuss challenging cancer cases and ask advice. Patient Navigation Programs, intended to help ensure cancer patients have rapid access to treatment. Patient Navigators help patients find physicians, deal with insurance companies, book treatment appointments, and follow up to make sure patients get to appointments. 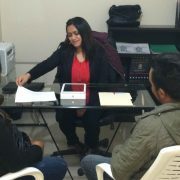 This low-cost intervention is making a big impact: In a Mexico City pilot, the program reduced the median time from diagnosis to referral to a cancer center from two months to 11 days, boosting patient outcomes and survival rates. 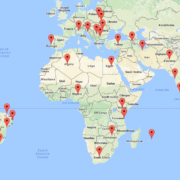 Cancer Databases, to track and understand socio-demographics, treatment choices, and outcomes in patients in developing countries, to bring attention to long-standing cancer control problems (such as the larger proportions of young women with breast cancer in LMICs, like Mexico). Do we need to find a cure for cancer? Yes, of course. But in the meantime, the U.S. has a wealth of medical knowledge that can and should be shared with the rest of the world to make an impact today. 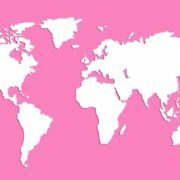 On World Cancer Day, let’s think not just about how to reduce cancers in the U.S., but globally. The rest of the world needs a Cancer Moonshot too.